Leisure riders probably make up the largest group of Icelandic horse owners in the UK, though many who classify themselves as leisure riders also take part in Icelandic competitions, Le Trec, endurance riding, dressage, driving and small cross country events, to name a few. In August 2013, 26 UK riders took part, individually or in groups, in the ‘Ride to Berlin’ (the location of the Icelandic Horse World Championships 2013) and between them they achieved a total distance of 24,397.54km! Browse the Ride to Berlin site to read more about these amazing leisure riders! The next major worldwide sporting event in the Icelandic Horse Calendar was Landsmot 2014 in Hella, South Iceland. Riders from the UK were joined by riders from the USA, Netherlands and Sweden in the Ride to Hella. Check out the Ride to Hella facebook page to read all about it! In 2015, there was also a virtual ride to Herning, the location of the World Championships 2015. For more info see here: http://www.feif.org/LeisureRiding/VirtualRide.aspx, and / or the fb group: https://www.facebook.com/groups/1499923990256088/. The most recent FEIF virtual “Ride to Reykjavík” came to an end with the beginning of Landsmót on July 1st 2018. 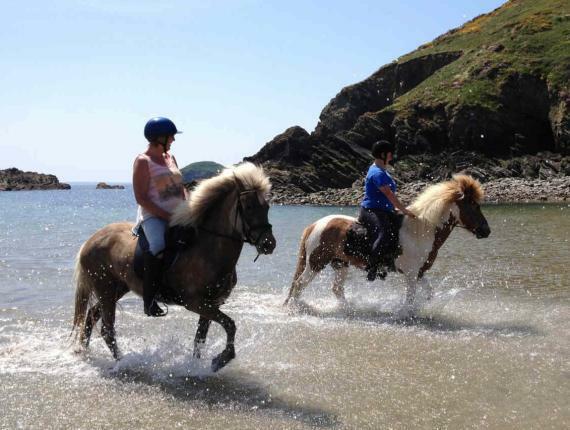 For a whole year, Icelandic horse riders from all over our member countries, including the US, Australia and New Zealand, added up the km ridden out on the trail, to virtually travel the journey from home to Landsmót. This could be done individually, or in teams when all km from the team count together. The next FEIF virtual ride is the Ride to Berlin 2019. You can find more information here. There are several local groups throughout the country who organise regular get-togethers, training courses and social events on and around the horse. To find out what is happening in your area have a look at the Events Calendar, or check out who your area rep is – they’re always happy to help! The IHSGB also runs a Performance Award Scheme, which encourages you to record all your riding activities other than on the oval track: Check out the dedicated Distance Award page here!